Cluses, France - Jun 24, 2014 - ADSoftware is pleased to announce that Heliconia Group has chosen to implement its AirPack MRO software solution, following the company's latest Business Intelligence and Data Exchange technology upgrade. Earlier this year, Moroccan and French helicopter operator, Heliconia, was looking for a software solution that could coordinate operations between its bases in France and Morocco in the quickest time possible. At the time, ADSoftware, the French aviation software provider, had just launched its latest Business Intelligence and Data Exchange Technology incorporating Predictive Maintenance applications and Cloud- based hosting. These innovations are the key features which convinced Heliconia to select ADSoftware's AirPack software solution to handle its 20 helicopters. The development of Cloud and shared IT infrastructure, offers the possibility for ADSoftware's clients to benefit from reduced barriers to implementation that are usually associated with traditional software solutions. Business Intelligence technology has greatly evolved, from internally developed graphical user interfaces to packaged applications that provide users with easy access to data for analysis and reports. 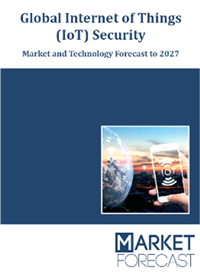 In light of this changing trend, Cloud computing represents a significant technology that has the capacity to transform the world of aviation MRO and introduce a new age of innovation and advancement. Heliconia has implemented all the six AirPack modules with the main focus being on maintenance management, logistics and airworthiness management in accordance with EASA and FAA standards. "ADSoftware's solution has given us a lot of comfort and security when it comes to airworthiness management, because everyone anywhere can access the needed information in real time", says Valery Nabholtz, CFO of Heliconia. The Heliconia team in France is responsible for the logistics and airworthiness management, while the team in Morocco is in charge of maintenance management. Regardless of their different geographical locations, both teams are able to connect at any time via the Cloud- based hosting option to access the same data quickly. When asked to comment on the set-up, data migration and implementation, Valery Nabholtz added that data migration for helicopters generally is a long and complicated process; however, thanks to ADSoftware, migration and implementation was seamless and fast. "The Cloud-based hosting option allows us to be so much more efficient during the installation and migration phases. In the case of Heliconia, it took only 8 days to implement the system. The potential time gained is really opening new doors to our solutions", says Fred Ulrich CEO of ADSoftware". 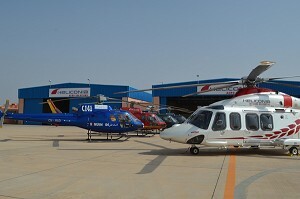 Heliconia is the Leading Helicopter Operator in North and East Africa. With a fleet of 14 Helicopters in Africa, including 2 brand new, State-Of-The Art Agusta Westland AW139, H covers all sectors of Transportation and Aerial Work, including support to the Oil & Gas industry. Morrocco - France - Algeria - Tunisia - Mali - Mauritania - Senegal are the main countries where the Group operates. Heliconia is also a PART 145 Maintenance facility and it has recently become the Distributor for Agusta Westland Helicopters and Products for Morocco. Visit www.Heliconia-aero.com for more information.